Check out these eight CBD products below, and use coupon code SALONNEWYEAR to save an extra 15% off the sale price — who knows, it might lessen the usual stress of the holidays. 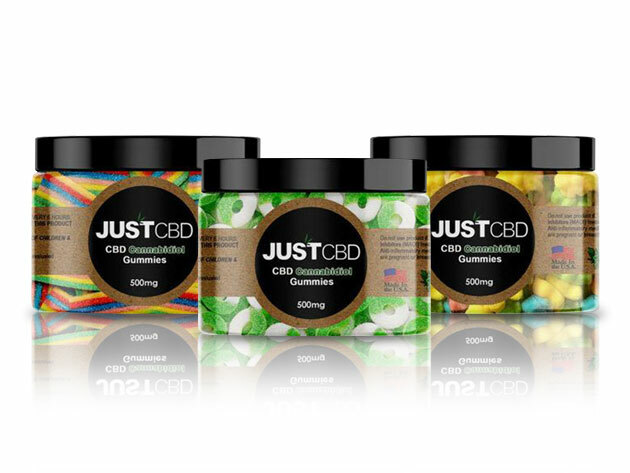 You can have your cake (or gummies) and eat them too with these CBD Gummies 500mg. Infused with 99.99% Hemp Isolate Powder that's grown and manufactured in the USA, you can experience all the soothing effects of hemp extract paired with the deliciously tart taste of gummies. 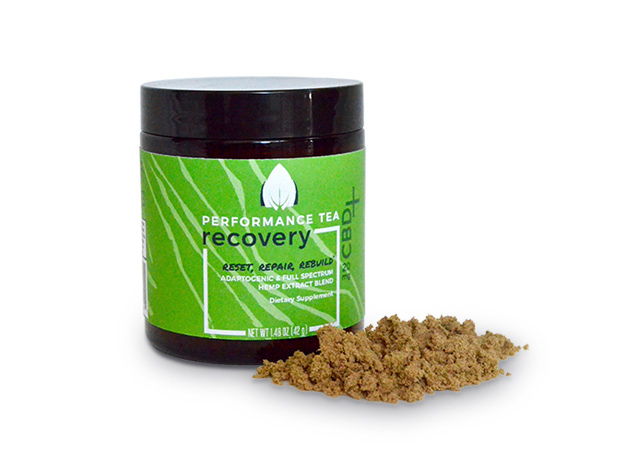 This Performance Tea Recovery Instant Blend With CBD is made to help revitalize and refresh you. Made with 100% organic CBD and powerful adaptogens, like eleuthero and ginseng, you can shake it in a water bottle or blend it up with your usual protein smoothie. It's an anti-inflammatory and stress balancer, so it's perfect for both post-workout recovery or just decompressing. This Medix "Relax" CBD Vape Oil Cartridge is made with a 5-part terpene profile to combat stress and illness — even if you're feeling worn down with the onslaught of winter. That includes Linalool for powerful sedative effects, Nerolidol for anti-fungal properties, Limonene to elevate mood, Borneol to fight against fatigue and recover from illness, and Caryophyllene to alleviate pain. 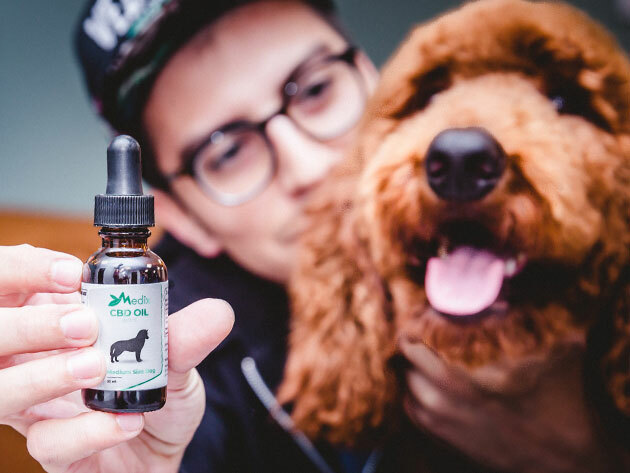 CBD isn't just for humans: this Pet CBD Oil is specially formulated for your furry friend. It's all-natural, tastes like bacon, and can help relieve anxiety and arthritis. And just in case your best furry bud needs palliative care, it can help them feel comfortable with cancer symptoms like nausea, loss of appetite and chronic pain. 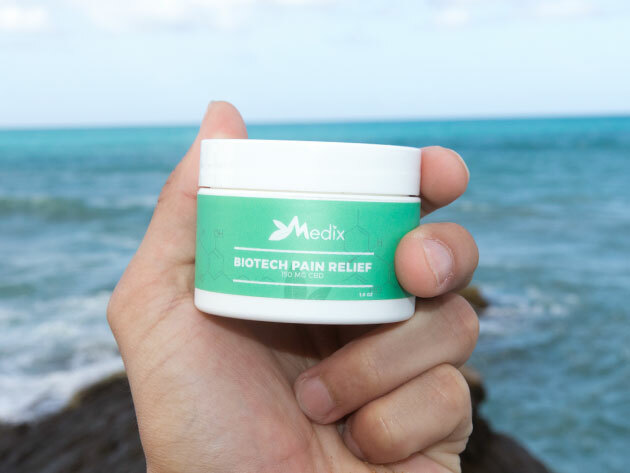 Whether you're an athlete that constantly moves or you're suffering from arthritis, this Medix 150 Mg CBD Topical Pain Relief Cream is the perfect salve for sore muscles. Made from raw hemp oil, it uses a unique and powerful combination of natural ingredients and CBD to ease pain. Perfect for sore muscles and just general inflammation, all you need to do is rub a small amount on the affected area to start feeling relief. These delicious Medix CBD Gummies (100MG) are packed with premium quality Phyto-cannabinoid-rich (PCR) hemp oil and carefully formulated to deliver the ultimate CBD experience with every bite. You get ten 10mg servings of CBD gummy bears to address any number of medical concerns, including anxiety and sleeplessness. 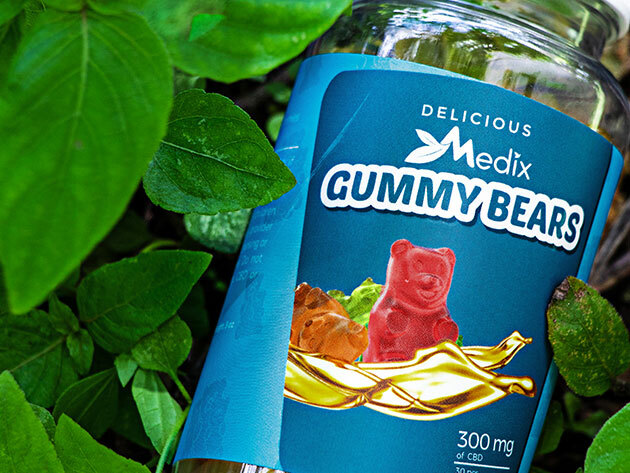 Sometimes more is more: this bottle of Medix CBD Gummies (300MG) deliver the same non-toxic, all-natural benefits of CBD — but you get 30 10mg servings of CBD gummies. Enjoy the effects without ever getting high — they're completely non-psychoactive, containing less than 0.3% THC each. 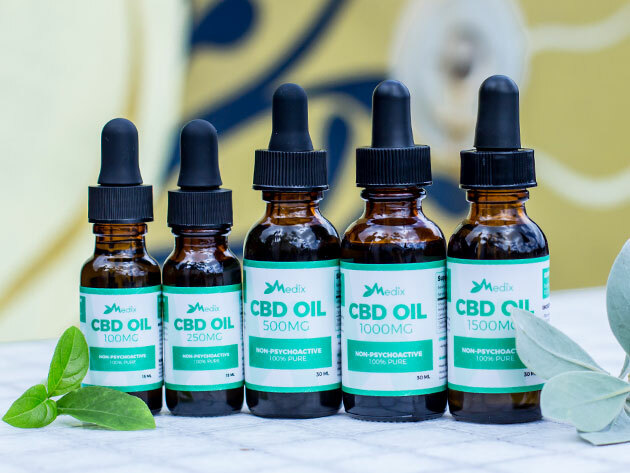 Enjoy some flexibility with your CBD oil application with this Medix CBD Oil 100MG (15ML). Gluten-free and vegan, you can drip the oil pure onto your tongue or mix it with your favorite foods and beverages. It delivers a balanced formula of 99.9% pure CBD Isolate and pure hemp seed oil that you can use any way you like.